Serials Solutions will be conducting an emergency upgrade this Saturday, March 24th starting at 8:00 p.m. EDT and lasting no more than one hour. The Electronic Resources homepage (E-Journal Portal) and the client center used by Library staff to manage our electronic resources will be inaccessible during this period. 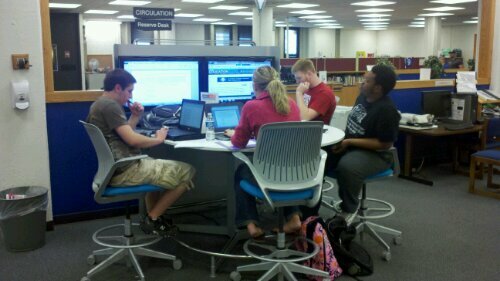 ISU Library electronic resources will still be accessible through Fusion/Fusion Plus and our database Web pages. We will post notice regarding this upgrade on the Library homepage tomorrow morning to inform our users. >>>Use the A-Z listing to find your database. Tip: bookmark/favorite your most-used databases for direct access. Set up a Favorites folder: LIBRARY RESEARCH. From the A-Z page, mouse over your database’s name and right-click like any link you want to save. and ‘add to Favorites’. Don’t do this AFTER you have gotten into a database as that link isn’t permanent. Indiana State University and the Joseph S. Schick Lectures on Language, Literature and Lexicography welcome Stanford University professor Shelley Fisher Fishkin to speak on Mark Twain Thursday, March 22, at 3:30 p.m.
Fishkin’s presentation is titled, “Originally of Missouri, Now of the Universe: Mark Twain and the World.” The lecture will take place in Root Hall A-264 with a reception following in A-269-270. On March 17 from noon to 5 p.m. Pastor Larry Lilly, Berean Baptist Church, will have a book signing for his new book published by WestBow Press, a division of Thomas Nelson Publishers. Open Door Christian Book Store, at 3125 S. 3rd Place, behind Honey Creek Mall is hosting the event. “Outrageous Forgiveness In 30 Days” is climbing up the charts. Larry’s book will be available at a discounted price. Part of the money collected from sales is being contributed to Covenant Cooperative Ministry of Terre Haute and directed by Rose Aycock. “Second Thoughts On The Ledge” is the title of the fourth book from Terre Haute author Nic Hamilton. Join the Wabash Valley Big Read 2012 in reading Ray Bradbury’s classic: Fahrenheit 451. From late February and into April, events, discussions, and more centering on Bradbury’s frightening vision of a future without books will be featured throughout the Wabash Valley community. 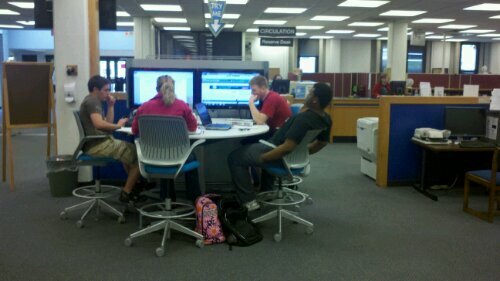 The ISU Library will be hosting several programs. Karen Evans (Reference/Instruction) will present Get the Word Out: How to Advertise Your Library at the 2012 Illinois Library Association Annual Conference at the Peoria Civic Center from October 9-11. 2012.